Who says you need to go on vacation to unwind and destress? Instead, opt for a staycation -- it'll not only save you money but also afford you a chance to get to know your city even better. 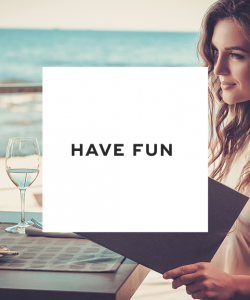 Below is how to make the most of your staycation. 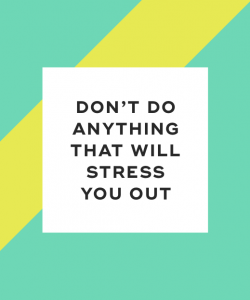 Basically, as a rule of thumb, don't do anything you don't feel like doing or that will stress you out during your staycation. Then, most importantly, have some fun! Go sightseeing. Are there places in your city or town you haven't yet explored? Now's the time to check them out. This can include sightseeing attractions, museums, parks, and markets. Check out local events. Want to branch out and meet new people? Check out any local events going on, such as concerts, meetups, community events, and talks. Try new restaurants. Do you have a list of restaurants you've wanted to try? Now's the chance -- try a new restaurant each night of your staycation. Take a class. Expand your horizons by taking a class. Ideas include cooking classes, dance classes, and pottery classes. Hang out with friends. The best part about a staycation is that you actually have time to hang out with friends and family. Plan some fun activities with them. Go hiking. Do you live in an area that's accessible to hiking trails? Plan a long hike on some trails you haven't yet been on. Alternatively, ride a bike around your city. Go to festivals and fairs. Look to see if any festivals or fairs are going on. Check out any music, food, or art festivals, or any local farmers markets. Hang out at a day spa. Treat yourself to a day full of pampering. Go to a day spa to relax in the sauna, sit in a jacuzzi, and get a facial or massage. Curl up with a good book. Spend the day curled up on the couch reading your favorite books while drinking tea. Watch movies. Grab some popcorn and spend the evening watching TV shows and films. Clean and organize your house. Some people find cleaning and organizing relaxing. If you're one of those people, then spend some time deep cleaning your home. Alternatively, you can hire a maid to do your dirty work. Get takeout every night. Try a different cuisine for dinner each night, such as Chinese, Thai, Italian, and Indian. You don't have to take an expensive vacation to relax. Instead, opt for a staycation! It'll give you an opportunity to explore your city or town, reconnect with friends and family, and engage in some fun activities. By the end of it, you'll feel recharged and refreshed. "25 Awesome Staycation Ideas," Living Well Spending Less, n.d.
"Enjoying a Staycation? 15 Tips to Keep it Frugal and Fun," Huffington Post, September 7, 2014. 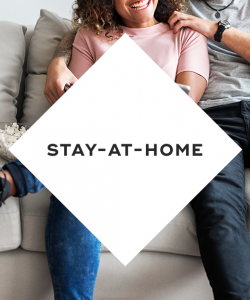 "How to Kick Back, Relax, and Vacation at Home," Real Simple, n.d.
"Seven Ways to Make the Most of a Staycation," Lifehacker, December 19, 2016.